Water for All the Ways You Live, Work, and Play, from Culligan. Whether you need to solve hard water problems, home filtration issues, or treat drinking water for a cleaner, better taste, there’s an efficient solution from Culligan. Backed by over 75 years of experience solving the most common water treatment and delivery problems, Culligan brings our industry-leading technology and experience to your home or business, without the hassle. Excalibur Water Systems is a Canadian manufacturer of water treatment equipment and systems for residential, commercial and industrial applications. Excalibur manufactures water softeners, iron filters, dealkalizers, specialty filters, side stream filters, reverse osmosis systems and ultraviolet sterilizers. Excalibur Water Systems offers standard engineered designs providing comprehensive and economical solutions for water problems around the world. 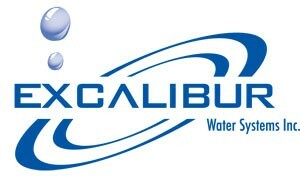 There is no water problem that Excalibur Water Systems can’t solve. PurClean is the professional’s choice for delivering a spot-free car wash, every time. 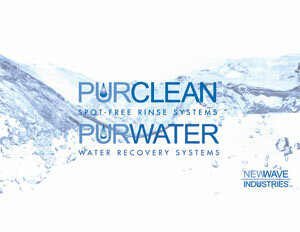 The PurClean system utilizes the process of reverse osmosis to eliminate the mineral content in the water. Manufactured with only the finest quality components and our unique Patent Pending (Water Stabilizer™) pre-treatment system, the PurClean Spot-Free Rinse system addresses water hardness, operates efficiently and cost effectively while eliminating the need and upfront cost of a water softener as well as the ongoing expense of softener salt. The PurClean systems effective use of pure mineral-free water delivered to the vehicle as a final rinse allows the entire vehicle to dry perfectly spot-free eliminating the need to costly and time-consuming hand drying.